After decades of erosion and damage, the Lily Pool was restored from 1998-2002 to Caldwell’s original design by the Chicago Park District and the Lincoln Park Conservancy. 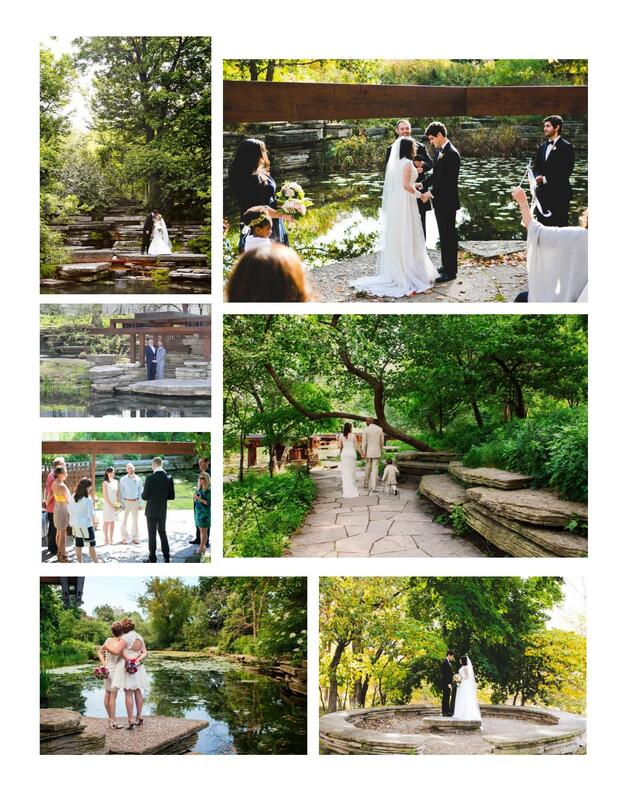 The Conservancy is proud to offer this natural sanctuary as a venue for your intimate wedding ceremony. Maximum wedding capacity is 30 guests. All wedding, engagement, family, or other professional photography must obtain a permit in advance from the Lincoln Park Conservancy. Call for one-hour rental pricing and permit details. The Lily Pool is open seasonally from mid-April through mid-November. It is also closed the Friday, Saturday and Sunday during the Air and Water Show. For more information, email info@lincolnparkconservancy.org.